During last night’s episode of Teen Mom 2, we got to see the fallout from Jenelle Evans 911 call getting released online. Following its release, she refused to film. The producers talk with Barbara Evans. She is afraid to confront her about the incident. Barbara feels like if she pushes Jenelle, she may not confide in her when something really bad happens. She also reveals that she was a victim of domestic violence and how she had feelings of shame and embarrassment. In Barbara’s mind, it may be even worse for Jenelle because she is a public figure. In the end, she makes the decision just to accept whatever she tells her as an excuse and not intervene in her marriage. This made me feel sad and angry. Jenelle has flipped out on her mother so much that Barbara is scared to show concern for her own daughter. Nathan Griffith talks to his girlfriend about his conversation with Jenelle about her 911 call. He reveals that her response to everything he asked was “none of your business.” He asked Barbara to check on the situation. Nathan suspects that his ex, Jenelle, is in an abusive relationship. Jenelle finally decides to grace MTV with her presence to explain her 911 call. She tells Barbara, a ridiculous made-for -TV-movie lie story. She claims that they got in an argument and she tripped outside over a hole. When he attempted to catch her, he fell on her by accident. WTF!!! Does she think we are stupid? Her mother asked, “why did you call the police then?” Jenelle claims it was just an alcohol-fueled misunderstanding and none of the rumors are true. Chile, please! Even Stevie Wonder could see that something very bad is happening in your house and you are attempting to cover it up. SMH… This is just sad. The school sets up a meeting with Leah Messer and the advocate to discuss her daughter, Ali. Finally, the school gets proactive after she has an advocate involved. Leah also has a very important doctor’s appointment, which will let her know if Ali’s condition is getting worse. At the appointment, Ali scored higher on her tests than she did the last time and is stable. Leah worries that in six months that something new may come up. Briana DeJesus met a guy in New York a few months ago and decides to go visit him. She goes to a nail salon with a friend and gushes about her new love interest. Briana is nervous about filming with him later that day. Let’s just hope this guy is better than the others Briana has introduced us to on Teen Mom 2. She doesn’t seem to be the best judge of character. Briana’s new boo picks her up from the hotel with his cousin and girlfriend in tow. As soon as she gets in the car she is interrogated about whether she speaks Spanish and what she does for work. I thought it was strange that the girlfriend was so forward with her questions so soon. Watch out, girl. Briana and her date go to Coney Island. She is excited since it’s been so long since she has been there. She tells him when the time is right he can meet her family. I don’t know if he has seen the show, but if he has he may not be in a rush to do that. Her mother and sister are third and fourth wheels in all of her relationships. 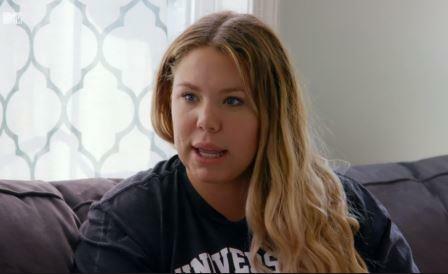 Kailyn Lowry discusses her podcast conversation with Tyler Baltierra and Catelynn Baltierra during her podcast. Kailyn received many messages from people who want to help find her mom. She finds out that her mom only lives two hours from her. This is upsetting since she hasn’t reached out or met her youngest son. Instead, Kailyn decides to focus on reuniting with her sister. She will be in Dallas soon and plans to meet her sister for dinner. Kailyn meets up with her sister for dinner and she reveals she is pregnant. She tries to convince her sister to meet with their dad again. The sister has virtually no interest in this. After the clip that I saw when their dad had a lock on his fridge and admitted to eating roadkill bbq, I think I would pass as well. It’s Aubree’s first day of third grade and she is so excited she is practically running from Chelsea’s baby voice the car. Chelsea takes the kids out for ice cream as a treat after Aubree’s first day. It’s becoming quite clear this season that Chelsea Houska has absolutely nothing interesting to film for Teen Mom 2. The most exciting thing that has happened to her so far was when she sat in water and thought she was going into early labor. SMH… Out of the last four Teen Mom 2 episodes she has had the least content of everyone. 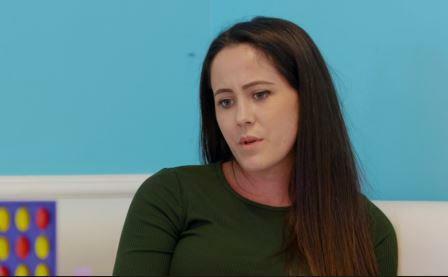 TELL US – DO YOU BELIEVE JENELLE’S STORY ABOUT WHAT HAPPENED THE DAY SHE CALLED 911? WHAT DO YOU THINK OF BRIANA’S NEW LOVE INTEREST? DO YOU THINK KAILYN SHOULD REACH OUT TO HER MOTHER AND FATHER?